Quiz: How Much Do You Know About Labor History? On Labor Day, and every day, we celebrate the struggles, successes and hopes for a better future for America's working people - including those of public school workers. 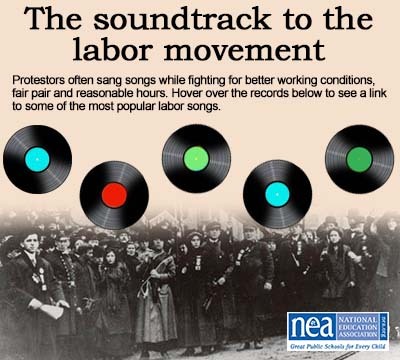 Labor Day Quiz: How Much Do You Know About the History of Labor? The Key to Fighting Privatization? Preparation. Click on the records to hear the music!